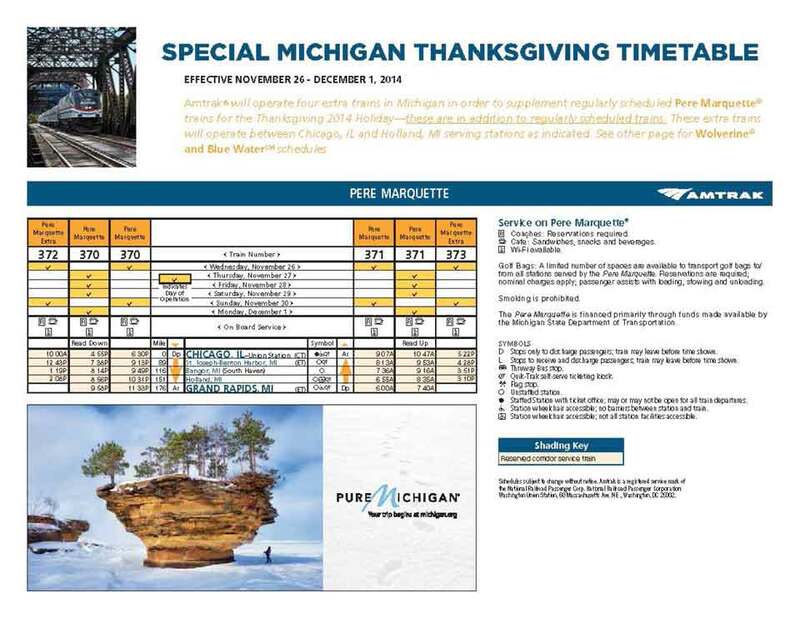 In anticipation of its busiest travel week of the year, Amtrak is adding more 18 trains to its schedule to operate between Chicago and Michigan destinations during the 2014 Thanksgiving holiday season. Passengers are encouraged to book early. 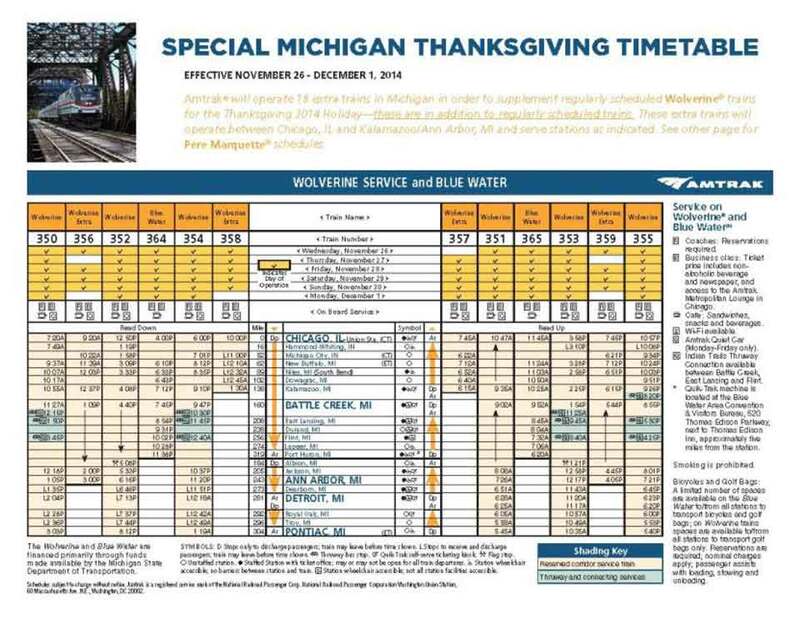 To accommodate the expected surge of holiday riders nationally, Amtrak will operate every available passenger rail car in its fleet and is scheduling extra trains and adding capacity on several routes. The busiest travel days are the Tuesday and Wednesday before Thanksgiving and the Sunday after the holiday. 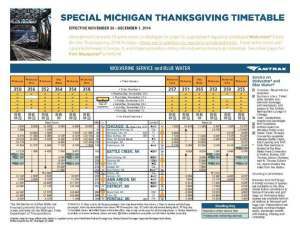 Other than Thanksgiving Day, morning trains typically have more available seats than those in the afternoon and evening.